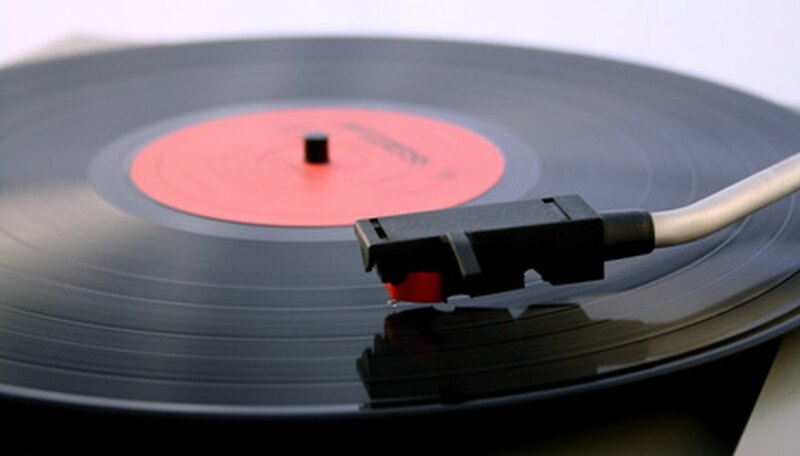 Even with the advent of the CD and digital music, vinyl records remain a popular way to listen to and collect music. Some people think that they just sound better, while others enjoy having a larger format to store and display. There are even some people who buy vinyl records and record them to their computer. There are four widely accepted "types" of vinyl records, but special exceptions and oddities occasionally pop up to complicate things. Twelve-inch records are commonly referred to as LPs, which stands for Long Play. They typically play at 33 1/3 rpm, although some may play at 45 rpm. A 12-inch record spinning at 33 1/3 rpm will usually hold between 20 and 30 minutes of music per side. While CDs and digital music make up most album sales, many albums released today are still released on vinyl. Although vinyl LPs make up only a tiny fraction of music sales, they are on the rise while CD sales continue to decrease. The 12-inch format is also frequently used as a way to release singles. A 12-inch single often contains at least one A-side and one B-side. The A-side is the song that the single is named after, which may be a song from an album or a standalone release. The B-sides may be non-album tracks, remixes, live recordings or sometimes all three. DJs frequently use 12-inch singles because they are more durable and have a higher fidelity than their 7-inch counterparts. Twelve-inch singles are still made, and are bought mostly by DJs and collectors. A 7-inch single typically only has one song on each side, although sometimes they may just have one song repeated on both sides. A jukebox from the vinyl era would usually play 7-inch singles, and the larger hole of the 7-inch record made it easier for the jukebox's mechanical arm to grab and play them. While 7-inch singles are still made today, the market is mostly geared towards collectors. Somewhere between the LP and the single is the EP (Extended Play) record. An EP contains more music than a single, but less than a full-length LP, usually between three and five songs. There is no standard EP format; they may be 7 inches or 12 inches, 33 1/3 or 45 rpm, and some EPs (and albums for that matter) are even released as 10-inch records. EPs are not as common as LPs or singles, but they are still released today, usually on both CD and vinyl. While 7-, 10- and 12-inch records are the norm, other sized releases aren't unheard of. Records from 5 to 13 inches have been widely released, while specialty records as small as one inch have been released with limited runs. Specially shaped vinyl records are uncommon, but occasionally seen. These records contain the same circular groove that you would see on any record, but surrounding that is a non-grooved outer section that may be cut into any shape the band chooses. Vinyl can be pressed to any number of colors, so colored and multi-colored vinyl records are not uncommon. Less common, but still frequently seen, are picture discs, which are special records with printed images pressed on top of them. While colored vinyl can sound just as crisp and clear as its black counterpart, picture discs are usually lacking in sound quality. Music Biz Advice: What is an EP? What Are Vogue Picture Records Worth?